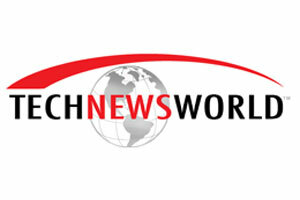 CES 2015, Las Vegas, Nevada (January 6, 2015) –Sound Research today released a fully automated normalization technology for Digital Speaker Modules (DSMs) combining Trigence Semiconductor’s patented Dnote® digitally-driven speaker technology with Sound Research Reality Amplifier. The combination yields ground-breaking DSMs, which provide consumer electronics OEMs, ODMs, and systems integrators with a viable product blueprint of a high performance digital audio solution for Ultra books, tablets, and smartphones. “We worked closely with Sound Research and Intel Corporation on the audio design for our digital speaker module solutions and are very impressed at the audio quality we were able to achieve when incorporating Reality Amplifier. The DSM audio sound field has exceptional sonic detail with accurate audio reproduction. The Reality Amplifier ideally complements Trigence Semiconductor’s new D-Assist™ digital speaker enhancement technology, offering rich bass, dynamic impact and articulate vocals, creating a superlative audio experience.”- Pete Birch, Chief Marketing Officer, Trigence Semiconductor, Inc. Reality Amplifier adaptively reduces harmful resonance, extends frequency range and unifies transducers, amplifiers and enclosures, creating a coherent sound field that is lifelike and dynamic. Reality Amplifier technology, when combined with optimized components and proprietary industrial design methodologies, will restore audio, voice and speech to original performance quality. Reality Amplifier provides a fully compatible sonic foundation upon which content and product sound field mastering technologies can be deployed. Sound Research Corporation, founded in 1976, with headquarters in Lake Tahoe, California, is the developer of advanced sound module designs and Reality Amplifier Technology. Sound Research has received nine RIAA Gold and Platinum Record Awards for product and sound design, and the 2008 CES Innovation Award. Sound Research technologies have shipped inside of over 50 million embedded consumer and PC products worldwide from HP, Lenovo, Acer, ASUS, NEC, Fujitsu-Siemens, Gateway, Dell, Toshiba and Intel Corporation, among others. Founded in 2006 as a spin-off from Hosei University and headquartered in Tokyo, Japan, Trigence Semiconductor is a privately held company invested by Intel Capital and INCJ (Innovation Network Corporation of Japan.) Trigence’ mission is to develop and deploy semiconductor solutions tailored specifically for the truly digital nature of today’s latest audio equipment and consumer devices. Trigence is the inventor of the revolutionary Dnote (or Digital Note) digitally-driven speaker system, a new and entirely digital audio output solution implementable on any generic bulk CMOS process. Dnote delivers clear and precise audio output signals and typically consumes less than one third of the power of legacy output architectures. Trigence was the recipient of the Award for Excellence for its work on Dnote at the Tokyo Venture Technology Awards 2013. 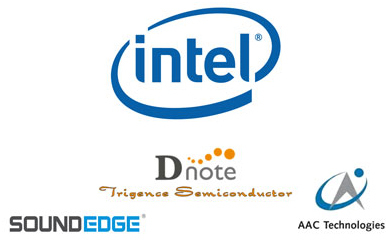 Dnote is a trademark of Trigence Semiconductor in the United States and other countries. 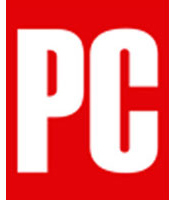 Intel's itty-bitty NUC PC prototypes pack Broadwell chips, touch controls As the line between desktop PCs, notebooks, and tablet continues to blur, the time may be right for Intel’s NUC—and the company decided to get a bit crazy at its Intel Developer Forum just to show off what its tiny PCs can do…This NUC included integrated speakers with [Reality Amplifier] technology from [Sound Research] that improves the sound quality of speakers in small, compact environments (like a NUC). "[Sound Research] software is far and away the most exhaustive we’ve seen for onboard audio…This new audio technology... has the best audio quality this side of an Audigy 2 ZS. Relatively low CPU overhead and being embedded will ensure that many gamers will have no need to go purchase an additional sound card. Quite frankly, unless there are specific tools available on an add-in sound card you need, we really can’t see why anyone would go buy a sound card after hearing how good this one sounds." “What we hear is important to audiophiles and gamers alike, and this applies especially to those who spend a lot of time stuck to their computer...Companies like ADI and Realtek…answer to the enthusiasts' call and offers the user a vast improvement over the previous generation's technology..." "...MP3 audio is greatly enriched with…[Sound Research.] [This] technology puts back the elements back that are lost during compression making for a much bigger and refined audio experience that has to be heard to be fully appreciated." "...Intel Audio Studio is very clean and simple to use...The voices sounded a bit muffled and dull...but when [Sound Research] was enabled, it made a world of difference in the audio quality....on-board audio...doesn’t sound too good without... [Sound Research] "
"Cover" Featured Article / Sonic Focus to Provide Intel Audio Studio Application " IAS does a good job of subtly applying its DSP effects to music material, [Sound Research] is performing some pretty serious leg work that goes way beyond simple EQ tweeks. Adding Sound to the Mix "Intel and [Sound Research] showcased the next generation of sound on Intel motherboards. We have evidently reached a performance level where a PC can replace custom audio equipment costing tens of thousands of dollars and reproduce sounds at a granular level. Providing Dolby and THX quality has been possible for some time, but now [Sound Research] can extend far beyond this. Bel Canto ULTRA-DOCK was selected as an Innovations 2008 Design and Engineering Award honoree in the Audio Components product category. The Bel Canto ULTRA-DOCK is the premier audiophile iPod/iPhone docking solution, utilizing [Sound Research®] technology to upscale and refine compressed music and soundtracks to 96kHz / 24 bit quality. The Consumer Electronics Association thanks you for your continued support of the consumer electronics industry and looks forward to serving you during the coming year. Congratulations on receiving the Innovations 2008 honors!